Is Aggression Inherited or Learned? Where Did Contemporary Humans Come From? Chapter 16. Are We Our Own Worst Enemy? 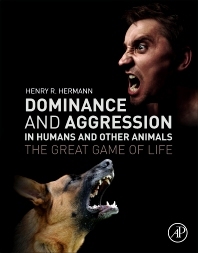 H. R. Hermann has been a biological researcher and university professor for over 50 years, focusing primarily on the fields of behavior, morphology and evolution. He has numerous publications, including over 20 books and nine book chapters on a wide variety of subjects. As editor and author of four Academic Press books on social insects between 1979 and 1982 and a book on insect defenses by Praeger Scientific, he played an important role in facilitating an understanding of animalistic social behavior and opening the door for further investigation in that field. He has studied social interactions in organisms from ants and wasps to humans and has published on human behavior with several papers and a historical and behavioral account of Native American music in Making the Wind Sing, Native American Music and the Connected Breath. Undergraduate studies were at New Orleans University and graduate school was completed at Louisiana State University in Baton Rouge. As a professor and researcher of defensive systems in social species, he spent 30 years in the Division of Biological Sciences at the University of Georgia where he taught a wide variety of courses, including evolution, medical biology, social behavior, histology and comparative morphology. He currently teaches human anatomy and physiology at Florida SouthWestern State College in Ft. Myers, FL, and is carrying out research on social species in that area.